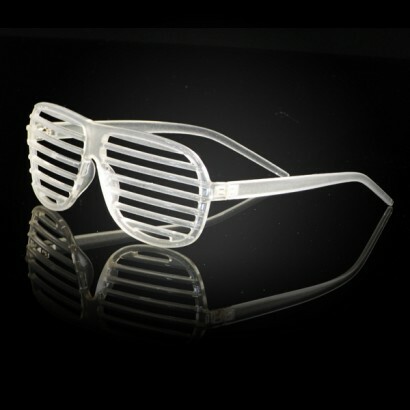 Go all out with your party look and rock the ultimate clubbing accessory.... shutter shades! These shutter shades don't just look good in the light, no, for allow them to charge in the light and when you head into the darkness they glow brightly in the dark! 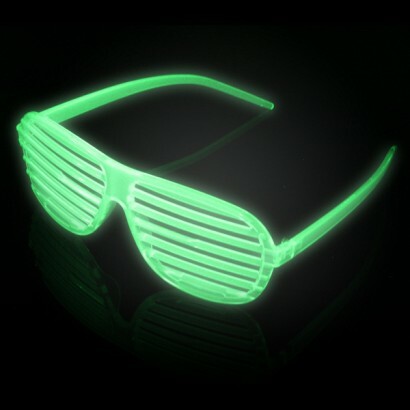 Green in the light and glow in the dark, these funky shades are an awesome way to compliment your party look!